The 2014 TimeZone Watch of the Year finalists represent the best timepieces of the year. The winner is chosen exclusively by the TimeZone community, the world's largest community of wristwatch enthusiasts. Please post your vote here. The RICHARD LANGE Perpetual Calendar "Terraluna" combines two classic complications within the iconic A. Lange & Söhne design. The large minute circle is at the top of the dial. Within the minute circle is the large, outsize date. The leap-year indication is located in a small round window on the right-hand side of the 15 of the minute circle. Beneath these, the smaller dials are offset for the hours and seconds. The calendar is mechanically programmed to correctly display the days and months until 2100, including those in leap years. At the 6-o'clock position is a power-reserve indicator in the form of a circumferential ring. Manufacture Calibre L096.1 manual-winding mechanical movement with lever escapement, in-house manufactured balance spring, 80 jewels, 21'600 vph and 14-day (336-hour) power reserve. Sometimes referred to as a dead beat seconds, the true beat seconds is a precision function wherein the seconds beat incrementally as opposed to sweeping along the dial allowing for more accurate reading. 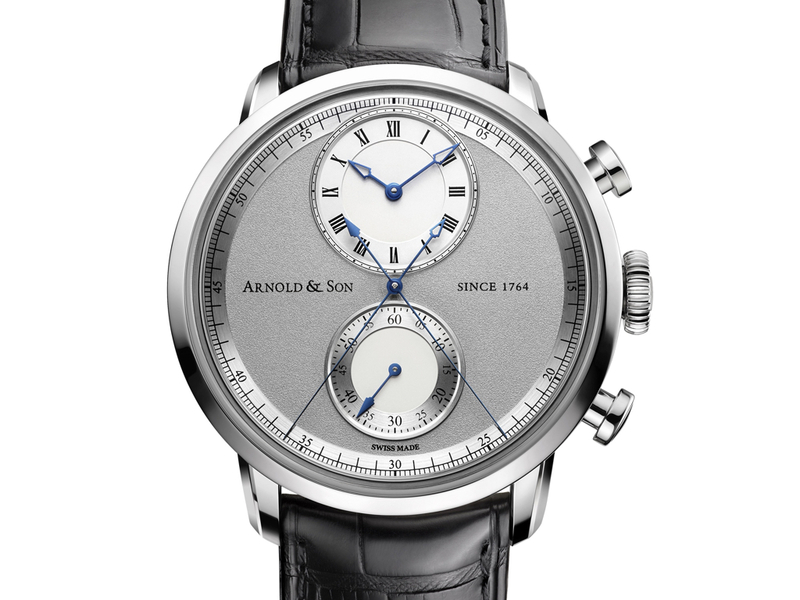 Arnold & Son has taken the idea to new heights by incorporating the true beat seconds on the same axis as the chronograph seconds hand in the Chronograph True Beat (CTB). The result, when the continually running chronograph hand is started, gives the impression that it can catch up to the true beat seconds hand. However, this never happens since the true beat seconds hand jumps away each second. 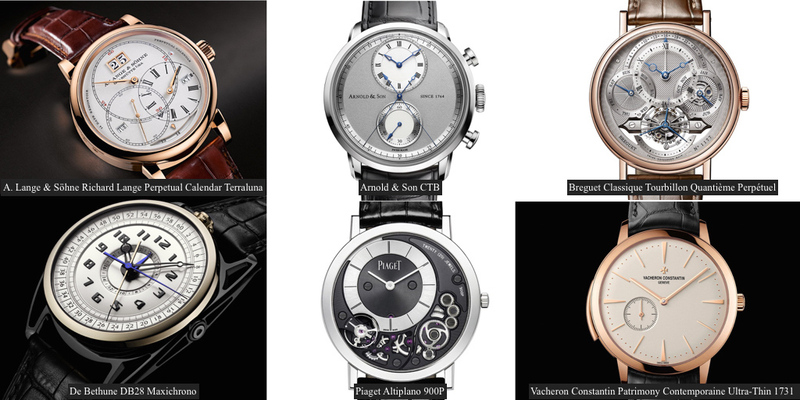 Arnold & Son's unique CTB invention is protected by two patents. 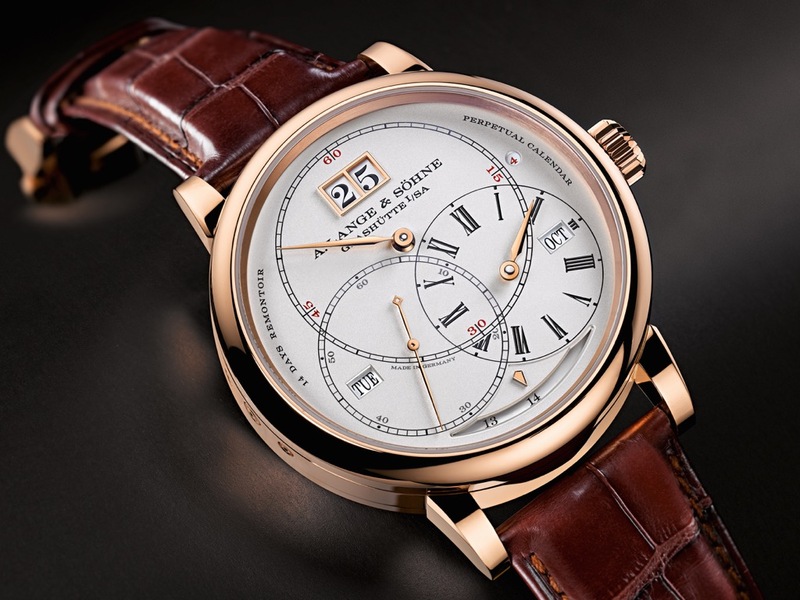 A&S7103 calibre is a proprietary mechanical self-winding movement with column-wheel operated chronograph, 31 jewels, 28'800 vph and 50-hour power reserve. 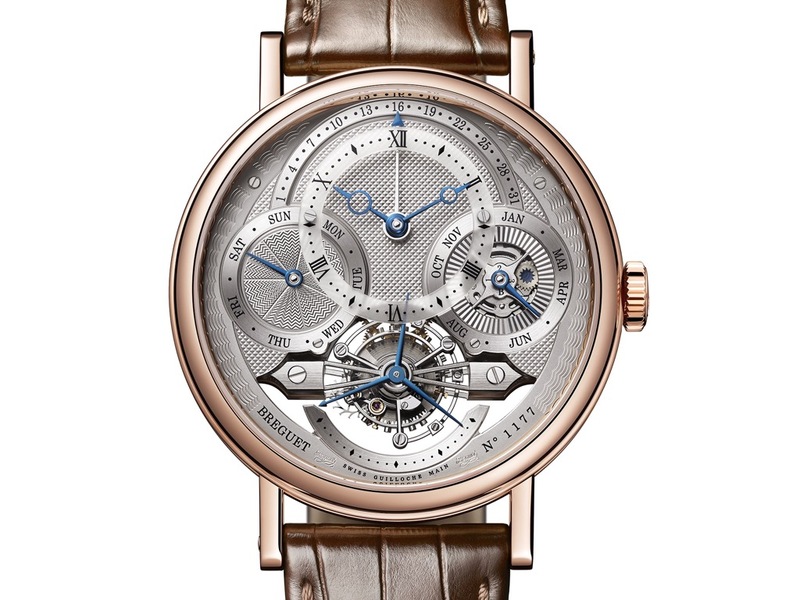 The Classique Tourbillon Quantième Perpétuel is a daring design that retains all the classical design codes unique to Breguet. On the dial, Breguet lifts the hours and minutes off the dial with a three-dimensional opaque hours and minutes chapter disc. The opaque sapphire crystal disc is painted with Roman numerals and fitted with Breguet hands in blued steel. Beneath the disc, an engine-turned hobnail pattern decorates the dial, overarched by the semi-circular scale of the retrograde date. A one-minute tourbillon is at 6 o'clock and is mounted on a slight dome. Its bridge is delicately chamfered and surmounted by a triple hand for the running seconds. The day is indicated by an instantaneous hand in the subdial at 9 o'clock. The engine-turning is in a gorgeous wave pattern. The month and leap year are indicated in the subdial at 3 o'clock. The engine-turning is in a shimmering sunburst pattern. Turning the watch over reveals exquisite hand-engraved baseplate. The Classique Tourbillon QP 3797 is available with a 41mm platinum or rose gold case and is fitted with the Calibre 558QP2 manually wound movement with tourbillon and perpetual calendar. Manufacture Calibre 558QP3 manual-winding mechanical movement, 45 jewels, 18'000 vph and 60-hour power reserve. The DB28 Maxichrono marks a significant technological breakthrough in the history of chronographs. De Bethune's patented absolute clutch system integrates both horizontal and vertical clutch systems to allow the different chronograph counters to function semi-autonomously. The chronograph seconds are governed by the new absolute clutch system; the minutes counter is controlled by a shifting pinion; and the hours counter is engaged by a horizontal clutch. On the reverse, three different types of clutch are behind three semi-independent systems controlled by three visible column-wheels. The dial features highly legible chronograph indications by means of five central hands. Hand-polished and blackened steel hands indicate the hours and minutes; heat-blued steel hands function as the chronograph hours and seconds; and a rose gold hand functions as the chronograph minutes indicator. This ultra-sophisticated, high-precision chronograph is operated simply by a single push button at 12 o'clock. 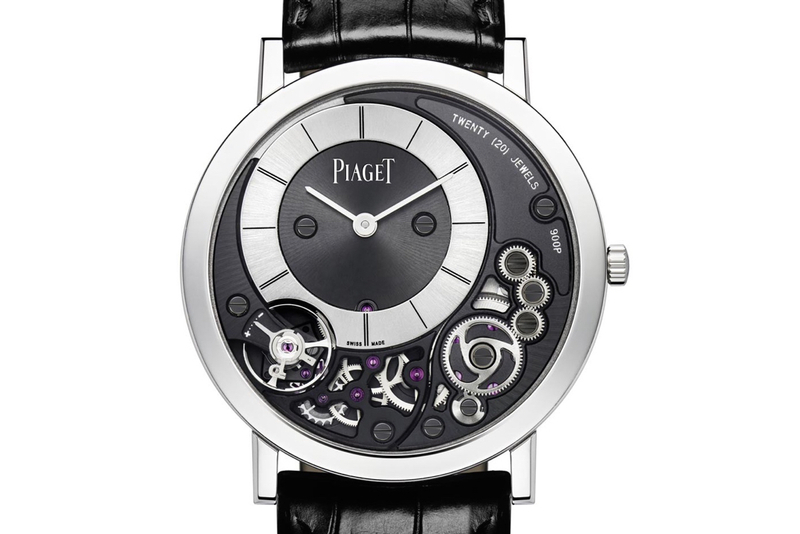 The Piaget Altiplano 900P is neither entirely a hand-wound movement nor entirely a case. 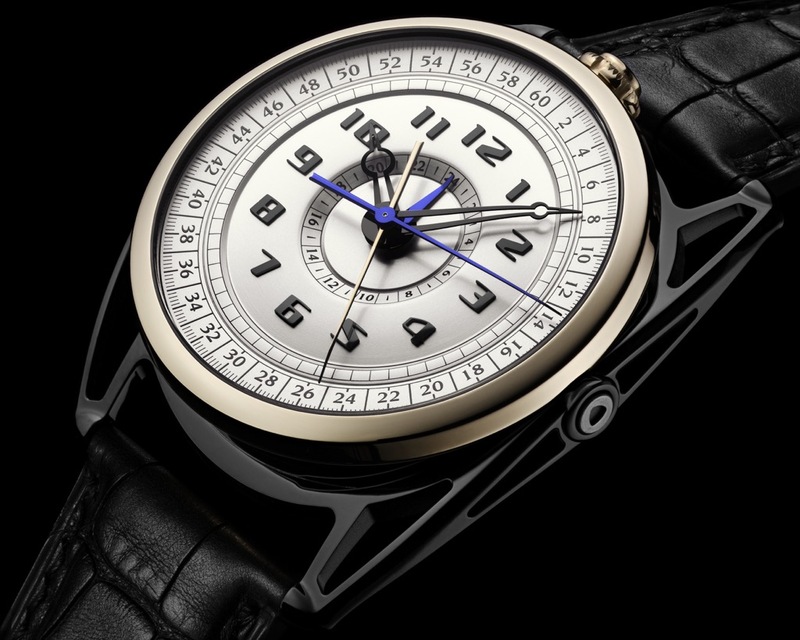 The elements are, in fact, merged into both to result in the world's thinnest mechanical watch. The construction of the solid caseback doubles as a movement mainplate for the 145 total component parts such that Piaget was able to achieve a record-breaking slenderness of just just 3.65 mm thin. To optimise space, Piaget designed a suspended barrel, attached by a single bridge on the dial side, in contrast to traditional barrels which are also attached on the bottom plate side. Notwithstanding this unique architecture, the calibre delivers 48-hours of power reserve. With an off-centred hours and minutes display contrasted by black bridges that are assembled on the dial side, as well as an exposed gear train, the Altiplano 900P exudes a refined and contemporary aesthetic. Manufacture Calibre 900P ultra-thin, manual-winding mechanical movement, 20 jewels, 21'600 vph and 48-hour power reserve. 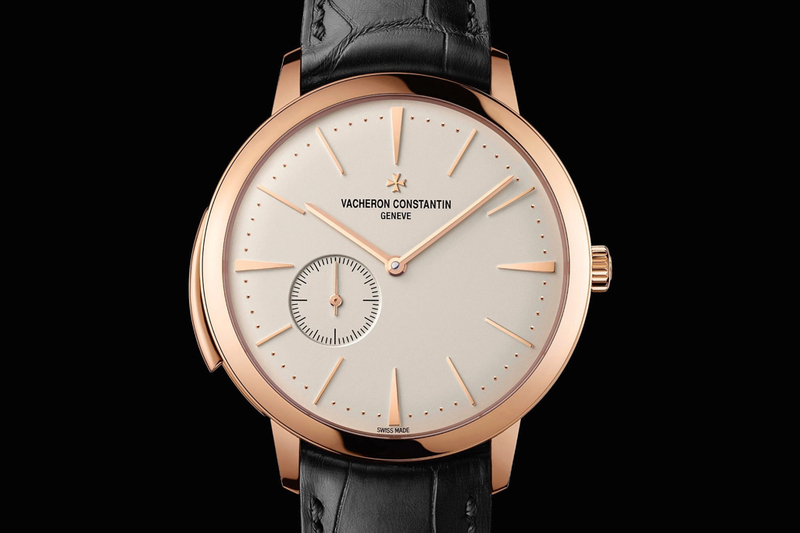 The Vacheron Constantin Patrimony Contemporaine Ultra-Thin Calibre 1731 combines the complexity of a striking mechanism with the additional challenge of producing the thinnest minute repeater calibre and the thinnest minute repeater watch on the market. At just 3.90 and 8.09 mm thin, respectively, both the movement and the timepiece housing it are dedicated to the most accomplished expression of the watchmaking art. Manufacture Calibre 1731 ultra-thin manual-wind movement, 36 jewels, 21'600 vph and 65-hour power reserve.